Vacate cleaning is very important for those tenants who are about to move out from their place. Keeping in mind the time and stress that comes with the entire cleaning process, it is best to hire professionals for this job. Moreover, with professionals working on this process, they will leave you without any worries. We, at Carpet Cleaners for Perth,we will provide you with the epitome of vacate cleaning service to make sure you don’t have to spend time worrying about the job you gave us to finish! We make sure to tick everything on our checklist, leaving not even a single corner. If you are in Perth, it is natural for you to understand the need of a proper cleaning before leaving the place. We make sure that our services will give you the required satisfaction without any hassle. To top it all, our services come with the best price quote in the market. There are no hidden charges or costs, and we certainly abide by all the facilities promised to you by us. So, if you are looking for supreme Vacate cleaning solution, it is time you contact us and ease your burden. As we are aware that there are different types of cleaning involved, here are some of the services we provide. Our exclusive for sale cleaning is what you need to attract more buyers! Are you planning to sell your house or commercial space? What do you think is the most important thing to fascinate more potential buyers? A good presentation so that people find your selling space attractive, right? If your answer is yes; then all you need is for sale cleaning service. You must have tried to do a basic clean-up process and make your selling space look better. But, the problem is that there will always be a difference in personal cleaning and professional cleaning. It is because professionals like us at Carpet Cleaning for Perth are very well aware of the criterion to offer a perfect cleaning solution. 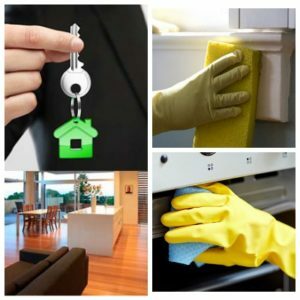 Here are few tips that will help you to achieve a better and more enhanced cleaning solution for your ‘place to be sold’. 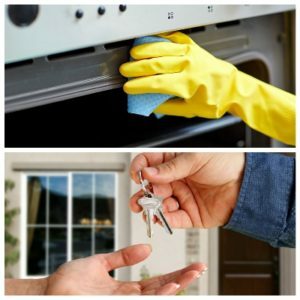 What’s included in for sale cleaning service? Professional carpet cleaning is important as you don’t want to buy a new one for a place which you will sell off in few days. Instead of investing such a hefty amount, call for a cleaning service who can make your old one look as good as new! The reason for it is that upholsteries can get extremely dirty and cleaning it with homely techniques will not suffice the need. If you contact us, we will make it germ-free, do the required restoration and make it look far more upscale. It is really difficult for you to reach that height of the ceiling and clean it, but for us, it is no problem. We have the proper equipment for a for sale cleaning to suffice this issue. Dirt and dust literallystick on the fan, and it is only experts who can make sure that all of it is gone. We are also profound in handling fragile or glass items. You don’t want your space to look like a cluster of furniture. After providing professional cleaning service; we also place all the stuff in appropriate position to make it look better. If you are looking for more benefits, then all you need to do is give a call to Carpet Cleaning for Perth and get your job done easily. Exit cleaning service – We have all that you look for in a professional! Exit cleaning certainly calls for professionals who are well responsible for carrying with the service in no time. This is mostly done by people when they are shifting or relocating to a new place. This means there are already a lot of work and burden on them. That is why; it is extremely important to hire professionals. Here are few things that you need to check so that you choose the best one and enjoy the cream of cleaning service. Ask these questions beforehand so that you don’t have to face any trouble later. Be it carpet, upholstery, bathroom, mattress or entire house cleaning, hire no one without certification. It is simply because there will be no guarantee of their work quality. Do the people do emergency cleaning? Most of the experienced and well-equipped companies can perform these services. If they say no, it is better for you to move on to the next choice. To avail cleaning before moving, always opt for the best in Joondalup. What is the way of setting their charge rates? Before you start the process, get a clear idea about their price quote. You certainly don’t want to invest more in the place which you are going to leave soon. Do you offer insurance and bond cleaning? Most of the professional companies offer this. If you are in Joondalup, West Australia, make sure you get a company who offers insurance as there is no point in hiring some company who will not take responsibility if anything goes wrong. What are the different services that you can provide? Apart from basic cleaning, you must know about the different services that they can offer like restoration, sanitization, etc. What are the cleaning procedures they can expect? If you know, then chemical cleaning and wet cleaning are not the only solutions. Presently, there is adifferent and modern method that escalates the cleaning like deep cleaning, dry cleaning, steam, high vacuum, etc. If you hire Carpet Cleaning for Perth, you don’t have to worry about any issues. We are highly experienced professionals who are profound in every cleaning. Hire us today and speed up the exit cleaning service, so that you can leave your house peacefully. Pre tenancy cleaning is a very important part that you need to do before handing the place to the new would-be inmates. It is a matter of reflecting what kind of a person you are. There is no way that you can let the new tenants enter a house which is not well maintained. If you are from Fremantle in WA, you will certainly understand the importance of cleaning of your space before giving it to tenants. If they don’t like the place, they can simply cancel the deal, and that is not something you would want! Carpet cleaning: Carpets can make or break the look of a place. Hence, make sure it is proper and tidy. Also, carpet can spread a lot of germs, and you certainly don’t want your new tenants to enter and blame you for falling sick! Cleaning of the bathroom: Bathroom is what determines your hygiene level. Hence, maintaining a clean and sanitized bathroom is extremely important. You can get all of this from our service which is now available in Fremantle. Kitchen cleaning: Oil stains can be very difficult to deal with if you are not a pro at it. But with our modern cleaning solution, we will make every inch of kitchen sparkle. Patio, balcony, terrace, swimming pool: Our cleaning service includes every corner of the house. We make sure that without causing any damage, the entire space is ready for tenants. Window and doors: With time, the panes and glass of doors and window can lose theirlustres as well as transparency. But we can offer a complete cleaning solution that will cover all these problem areas when availing our pre tenancy cleaning. With years of experience, Carpet Cleaning for Perth knows how to deal with any cleaning call. Our team is trained to handle all types of cleaning. We also cover insurance for any damage caused by us. Moreover, we have a 100% client satisfaction rate. Get your pre tenancy cleaning done effortlessly now from us! We offer the best handover cleaning service for you to avail! When it comes to handover cleaning, there are several things that you need to keep in mind. Be it handing over to your tenant, landlord or new owner; there are certain things that you need to cover to make sure that you leave a good impression on people you handover the place too. Not only these, but also here are few ‘extra’ things that we have to offer. **Now, we also provide service in Midland. When you are already about to handover the place to someone else, you don’t want to buy anything new. This is the reason why you need professionals who can restore the fixtures including carpets and upholstery. Be it discoloration, tear, patch, etc., with our professional restoration work, you can get all these issues solved. We offer this service in Rockingham too! Is your place damaged with in-house flood or fire? If yes, then don’t panic, Carpet Cleaning for Perth can handle it well. We have a special team to help you out with emergency cleaning and restoring the entire place. We don’t use harsh chemicals that will leave a pungent smell in the house. Rather we use techniques like steam cleaning and deep cleaning. Along with that, we also make sure to sanitize the entire place and help in developing a better as well as healthier environment. With insurance, you can have a better sense of security and in the case of any damage, you don’t have to worry, we will cover it for you. As we are now offering our services in Midland and Rockingham too, you can enjoy our facilities better! If you are on the same page with us on availing proper cleaning, what you need is just to give us a call and we will be there to help you with the handover cleaning. Hire Carpet Cleaning for Perth and be sure to get nothing less than the very best. In the time of need when you are already under the stress of packing and leaving, we are there to do the tedious cleaning job with our expert team and excellent vacate cleaning services..
Vacate cleaning requires special skills to make it a point that all the services are done properly. Keeping in mind the urgency we make sure a 100% client satisfaction with a free price quote. Along with that, if you require any kind of restoration job for the fixtures, then we are well-equipped to do that too! With this, you can now just contact Carpet Cleaning for Perth on 0424 470 460 or email us at sales@carpetcleaningforperth.com.au for vacate cleaning, sale cleaning , exit cleaning services, and leave your old place without any worries!